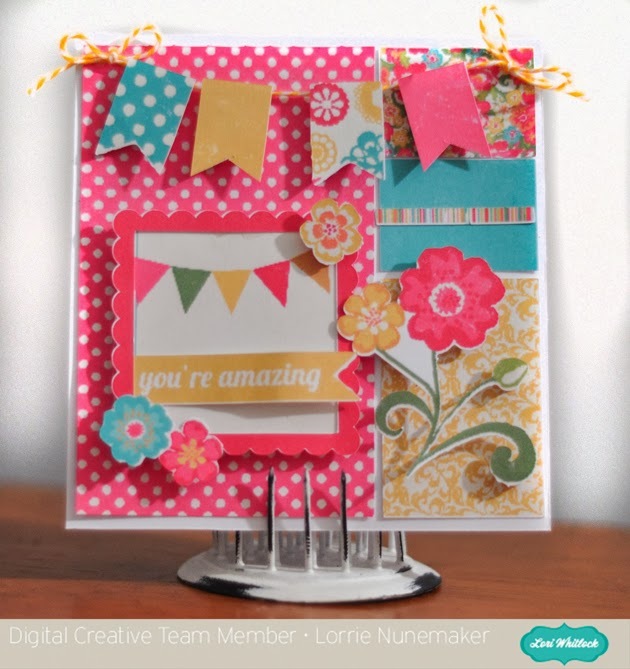 Today I made this card using a Life Template by Lori Whitlock. Remember you can always use the templates even if you're not a project lifer. I simply brought the 12 x 12 template into Photoshop, resized it to 5 x 5, added the fun papers from Lori Whitlock - Maggie Collection and added a few elements from the same collection. I then saved all the components as a .jpg and opened them in Silhouette software where I traced and cut them all out.